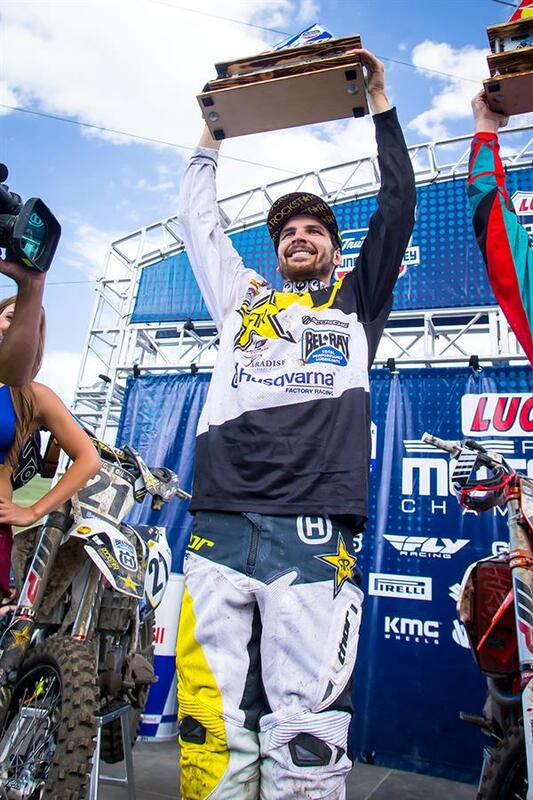 ROCKSTAR ENERGY HUSQVARNA FACTORY RACING’S JASON ANDERSON OVERCOMES THE ALTITUDE TO FINISH 2ND AT THUNDER VALLEY MX! 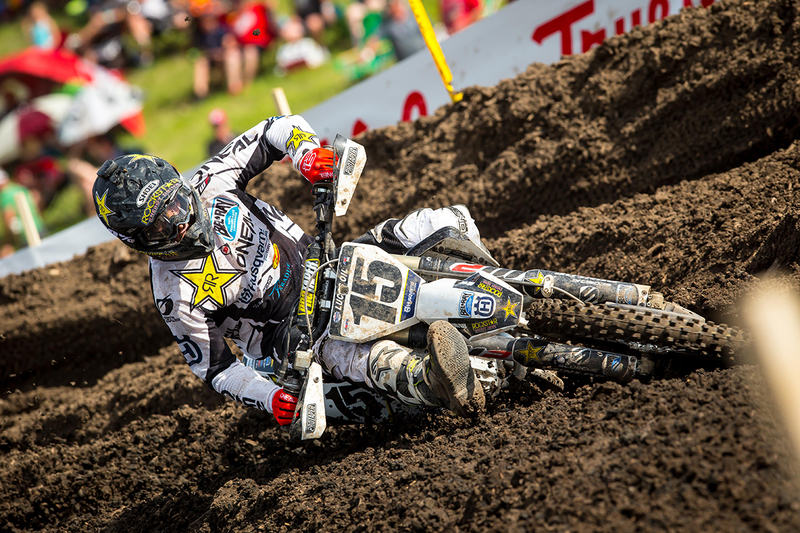 The Rockstar Energy Husqvarna Factory Racing team battled 6000 feet of elevation and a treacherous track for the third round of the Lucas Oil Pro Motocross Championship, held at the Thunder Valley National in Lakewood, Colo. on Saturday. Jason Anderson overcame the altitude by earning a hard-fought third overall in the 450 class, while teammate Zach Osborne maintained his points lead in the 250 class. Dean Wilson and Martin Davalos finished fifth and 10th, respectively in the 450 class, while Michael Mosiman earned 11th in 250. Jason Anderson was third at the start of the first 450 moto and started charging hard. 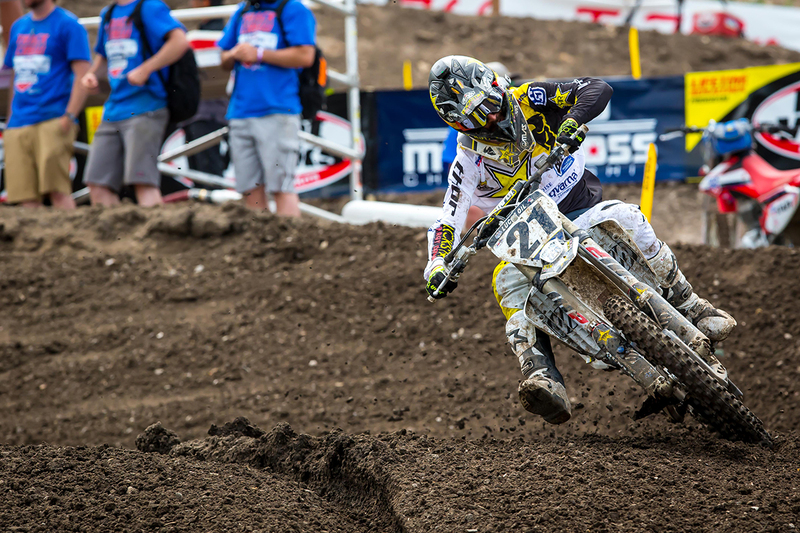 He inherited the second-place spot in lap two and was showing major speed aboard his Husqvarna FC 450. He stayed consistent, rode his own race, and finished an impressive second. He was sixth at the start of the second 450 moto and put on a charge to make it into fourth by the end of the first lap. He held strong in fourth, made the pass for third, then fell back to fourth by lap four. He stayed in fourth before going off the track with six minutes to go. He came back in sixth, stayed focused, and started battling for position with four minutes to go. Putting in a late-race charge, he set his sights on the pack of riders in the front of the pack while also navigating huge ruts and lapped traffic. He finished sixth. The 2-6 finish gave him third overall on the day. He is currently fourth overall in 450 rider point standings. Zach Osborne, the fastest qualifier in the 250 class despite battling illness, was third at the start of the first moto and immediately started throwing it in there before making a small mistake and going down in the corner. He remounted in 16th and started putting in work. He charged into the top-10 by the end of the fourth lap and continued to push. On a comeback charge, he lurked the pack in front of him and waited for his opportunity with 15 minutes to go. He made it up to eighth with seven minutes to go and held strong to finish eighth. He was mid-pack at the start of the second 250 moto and moved up to eighth by the end of the first lap. He focused and put on a solid ride to finish a hard-fought fifth. 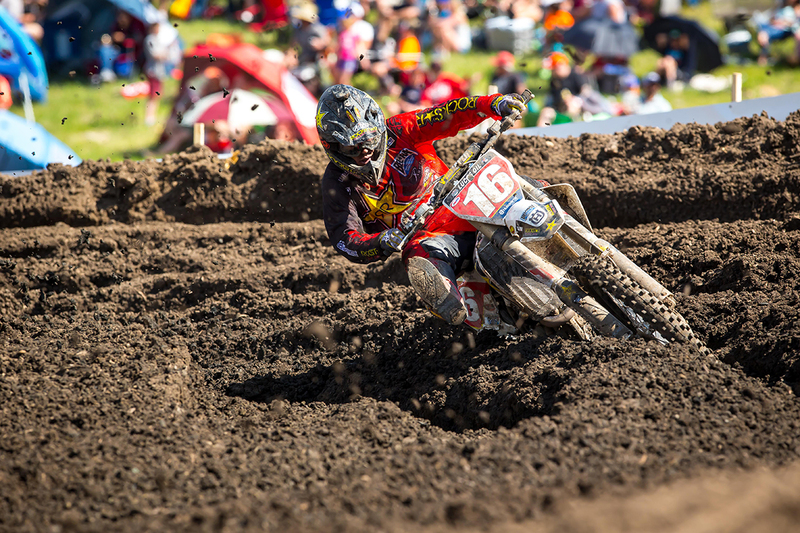 The 8-5 finish gave him fifth overall on the day, and he currently maintains his lead in 250 rider point standings. 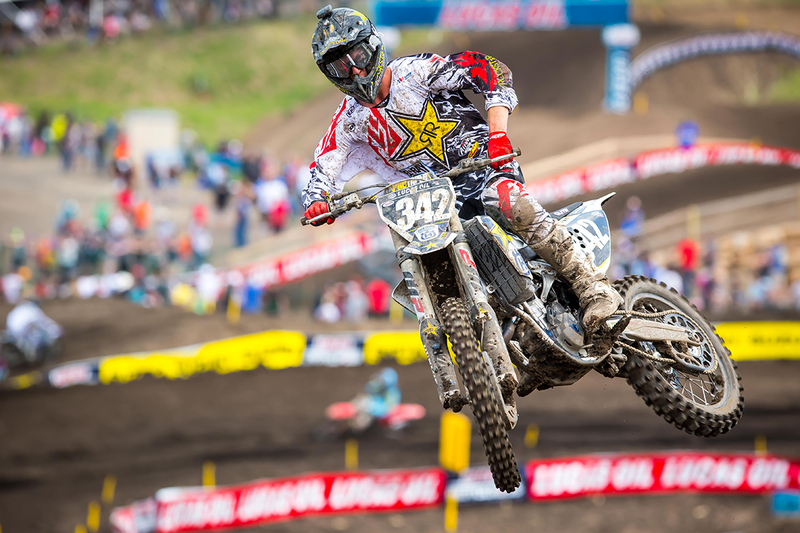 Dean Wilson was mid-pack at the start of the first 450 moto and made it up to ninth by the end of the second lap. He had a consistent ride and finished ninth. He pulled a decent start in the second 450 moto and started working hard to charge through the pack. He was 11th by the end of the first lap and made one more pass for 10th in lap three. He kept working and was eighth at the halfway point before making another pass to finish seventh. The 9-7 finish gave him seventh overall on the day. 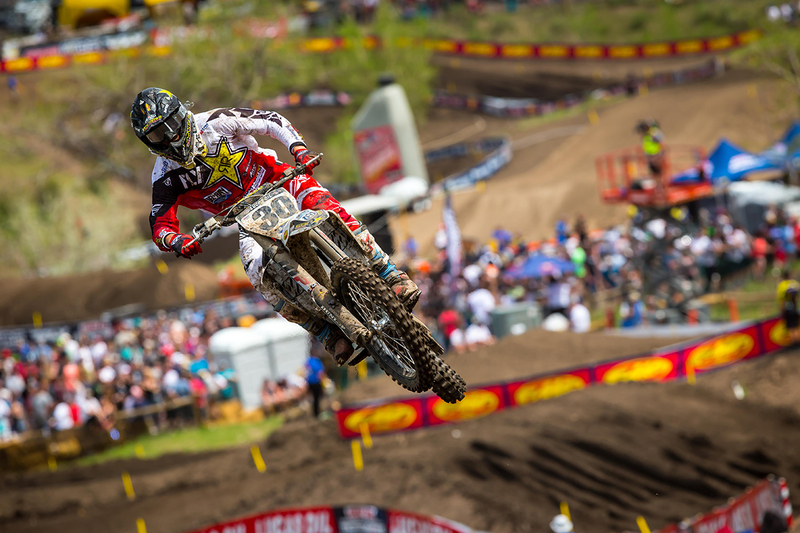 He is currently sixth overall in 450 rider point standings. Michael Mosiman was farther back in the pack at the start of the first 250 moto, but immediately put on a charge and made it up to 17th by the third lap. He continued to move through the field and finished 12th. He started mid-pack in the second 250 moto and started putting in work. 16th by the start of the second lap, he set his sights on moving ahead. He rode hard and made it up to 10th where he finished. The 12-10 finish gave him 10th overall on the day. He is currently 11th overall in 250 rider point standings. Martin Davalos pulled the holeshot in the first 450 moto and was showing speed. He made a small mistake and went down on the opening lap but was able to recover quickly. He remounted in the top-10 and would eventually finish 10th despite going down again. He got a great start in the second moto, but two crashes forced him to put in a charge and advance from near last to 11th. The 10-11 finish gave him 10th overall on the day. He is currently 13th overall in 450 rider point standings. The team will now take a weekend off before heading to the fourth round of the series, being held Saturday, June 17 at the High Point National in Mt. Morris, Penn.